In case you've been living under a rock, the To All The Boys I've Loved Before movie came out and Lara Jean w/ her love letters promptly shook the internet. I've seen this rom-com twice and it has stolen my heart!!!!! 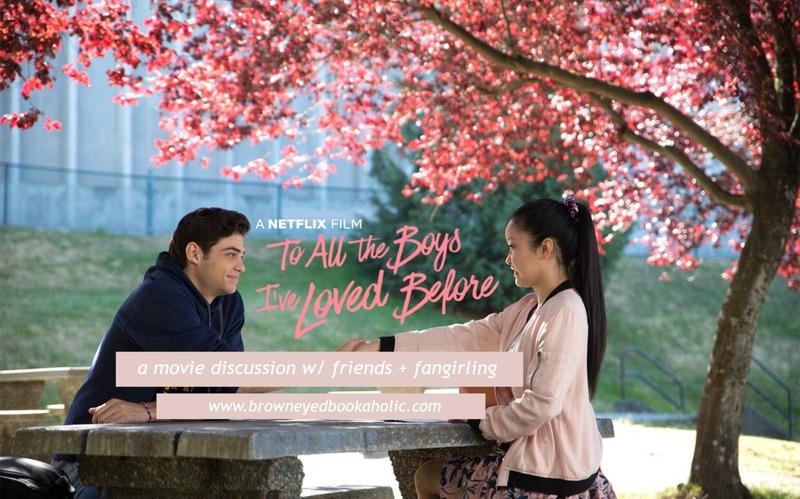 So, in honor of Lara Jean, us "Becky's girls" came together and wrote a movie discussion. A huge thank you goes out to them (love y'all!!) and I hope you bookaholics enjoy our collab! PLEASE NOTE: There are minor spoilers for the movie and the books! Read with caution. Did you enjoy the plot changes? ABBY: I was expecting for some significant plot changes, but the movie was true to the spirit of the book. One of the things about book-to-film adaptations were the loss of small details or moments. However, I do love for the certain scenes like in the beginning when Mr. Covey tries to cook Korean food, it adheres to those small details. 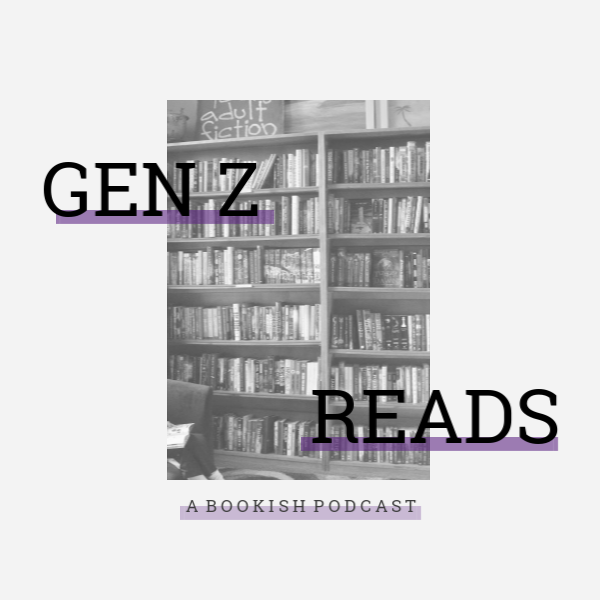 KENZIE: I feel like the movie stayed completely true to the plot- if not more consistent than the book! However, I would’ve liked to have seen a few more cute moments between Peter and Lara Jean... In the book, Peter seemed far more jealous of Josh. A couple moments of #JealousPeter would have been great, but at the same time, I’m glad they didn’t do that! I liked how the movie focused on Peter K. and Lara Jean understanding each other. LILA: I feel that there was not a huge difference from the main book plot to the movie plot! The movie covered the overall idea of the book which was nice! ANNA: I totally agree with everything above!! They missed a few, small details but they really did capture Lara Jean’s loveable story. What’s one scene from the book you wished was in the movie? ABBY: Halloween and its relating costumes would have been such a great addition to the movie! I wish it was in, because it would have hinted early on Peter’s growing feelings. Plus, it would have hinted at Lara Jean’s inner geek! LILA: I really would have loved to see the scene when Peter takes Lara Jean to the estate sale! I also wish the movie elaborated more on Peter and Lara Jean’s doughnut obsession! I also would have loved to see them do the Halloween part with Peter as Spider-Man and Josh and Lara Jean had the matching Harry Potter costumes which made Peter a bit jealous. What did you think about the chemistry between Peter and Lara Jean? How about Lara Jean and her sisters? ABBY: Everyone gushes about Peter Kavinsky so much, and there’s a good reason to crush on him. He is so respectful and receptive to Lara Jean, which is incredibly healthy in YA. They have such a good rapport and the steady build up between the two made the movie sweeter. I also love Kitty and Margo! The relationships the three sisters have with one another and the different dynamics between each are incredibly refreshing. KENZIE: I THOUGHT THEIR CHEMISTRY WAS STRAIGHT UP GOALS. The actors did a freaking amazing job- they truly felt like the characters from the book! I have seen Noah in other projects so I’m glad I was able to view him as our Peter Kavinsky and not just another actor. I’ve been keeping up with updates since they announced the movie so all the behind-the-scenes chemistry was totally real. Lana played Lara Jean perfectly; her personality and Noah’s mix together so well. I loved her relationship and on-screen chemistry with her sisters. It was exactly like the book which I was thankful for. The sister aspect of the book really means a lot to me given that all my sisters have read the books and this is something we bond over. LILA: What really made me love the movie so much was the natural on-screen chemistry the entire cast had with each other! Lana and Noah had such natural chemistry with each other that really brought Lara Jean and Peter Kavinsky to life. Lana and Noah just compliment each other so nicely, it is hard not to love them! Janel and Anna played such perfect roles as Margot and Kitty. Anna especially outdid herself as the role of Kitty, she and Lana played the older and younger sister relationship so perfectly! I feel that the Song Sister’s play such a key important role in this story and I am so glad that the movie displayed their sister relationship so perfectly! ANNA: Lara Jean and Peter Kavinsky make my heart *swoon*. Their book chemistry matched their movie chemistry really well. And I love how close Lana and Noah are off-screen asdfghjkl. Anyway, the relationship Lara Jean had with her sisters sealed the deal for me. Their sister scenes were practically taken out of the book and that made my little bookworm heart sing. Was there a character that surprised you? Was she/he in the book? ABBY: Chris surprised me a lot! In the book, she’s introduced as a bit of a rebel-- crashing around with other guys and disguising things via a shampoo bottle. Her personality is subdued, but replaced with a chill presence. Also, while she’s not really a character, Jenny Han as a dance chaperone had me FANGIRLING. ANNA: Definitely Lucas. I don’t remember him having a big role in the book but I’m so glad he had a bigger role in the movie! I loved his friendship with Lara Jean. KENZIE: I agree with Anna, Lucas definitely stole the show for me! I loved that he was in the movie more unlike in the book. Another character that surprised me was Chris. I loved how the actress portrayed her character! She was. so. cool. LILA: I definitely have to agree with Anna and Mackenzie, Lucas. He was such a fun character in the movie to see! I am so glad he got as much screen time as he did, I would love to see more of him! What’s your opinion on the representation/diversity in the movie? Did it do it justice? ANNA: Sorta? I mean, thank god Lara Jean wasn’t whitewashed but it was a bummer that Lara Jean wasn’t played by a Korean actress. 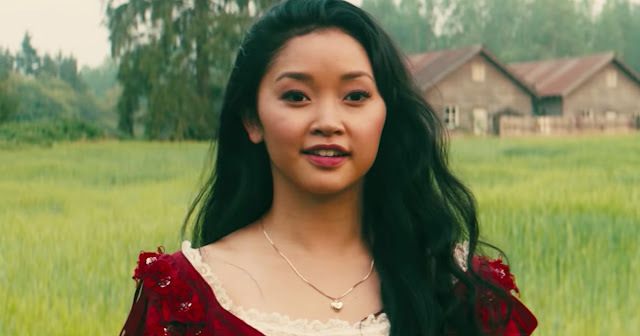 But, I think Lana Condor played Lara Jean perfectly. I can't think of anyone else who could play her. ABBY: I agree with Anna’s sentiments. It’s disappointing Lara Jean was not played by a Korean actress. Could they have gotten one? Perhaps, and if so the producers should take that into consideration, but Lana Condor did such a beautiful job. Look, Asians in Western media can fall under stereotypes and that’s all their personality is-- a caricature. But Asians-- and really this goes for any minority group-- WE ARE MORE THAN JUST STEREOTYPES INDOCTRINATED BY A DOMINANT GROUP TO BE LIKE SO. We are not just tiger-raised children. As Filipino-American, it’s comforting to see another Asian bake cookies and spend late nights watching movies at home, among so many more things. Yes, our cultural background makes us different, but we still do normal things. KENZIE: I thought the diversity and representation in the movie was done very nicely. They focused a bit on the Covey sisters’ Korean culture without making it look too forced. And I know Lana is not Korean but she really was Lara Jean. LILA: I actually had no idea that Lana was not Korean! The story does heavily revolve around The Song Sisters’ Korean background because of their Mother who is no longer with them as a way of keeping her presence alive around them every day. I thought the movie did a great job representing the characters’ Korean background culture without it feeling too forced. LILA: First off. “whoa...WHoa...WHOA”. Peter Kavinsky is perfect. They say perfection doesn’t exist but then there is Peter Kavinsky. I could not ask for a better actor to play Peter, Noah is Peter and Peter is Noah, simple as that. He was charming, funny, confident, sweet, flirty, cute, smooth, caring, vulnerable, and overall just perfect. I might start to cry now….bye. SOBS. ANNA: WHAT A MAN. I think Noah Centineo played Peter wonderfully. He played Peter like the sweet, cocky fool he is. I’ll always love Book Peter but Movie Peter has also stolen my heart. He is definitely one of the best love interests from a book to movie adaptation. ABBY: Josh Sanderson was cut a bit short from the movie. He does talk about in the novel how had Lara Jean confessed her feelings, it would have mattered and changed the course from what they experienced then. I was a bit bummed for him when she and Peter got together in the final minutes, but they don’t aggressively antagonize him which would have played out in a triangle manner, making the movie more contrite. KENZIE: To be honest, I knew I was going to like Movie Josh more than Book Josh. I was not a fan of Book Josh because, you know, #TeamPeterKavinsky... but Israel is just so darn cute! \(o-o)/ However, movie Josh turned out to be a lot like Book Josh, and to my surprise... He wasn’t in there as much as I thought he would be. I kind of wish that they shined a little light on Josh’s feelings towards Lara Jean like in the book but they didn’t explicitly do so. And actually, now that I think of it, I’m kind of glad they didn’t. it would have made it more like a love triangle in the movie viewers’ eyes and we did not need that happening! LILA: Okay, book Josh not a huge fan of, but with how sweet and adorable I was seeing Israel act on set of To All The Boys I’ve Loved Before, I thought I was going to fall for movie Josh, but I think my feelings are about the same. I do feel bad for poor Josh and I do not hate his character, I am just not Josh lover. You feel? But I really liked seeing the flashbacks of Josh and Lara Jean together as friends. That was cute. Anyway- Poor Josh. ANNA: Hmm... Josh. I've always had mixed feelings about him. I liked the friendship he and Lara Jean had but their romantic gestures made me a little uncomfortable haha. 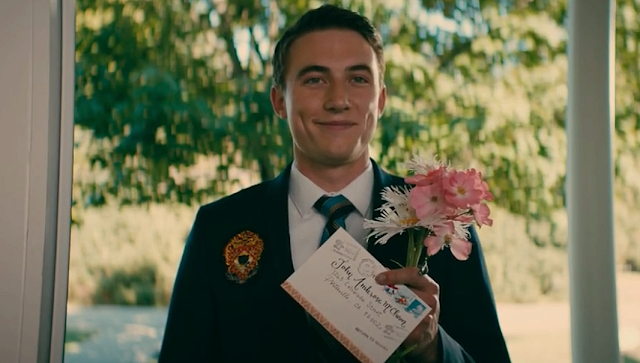 Book Josh was READY to steal Lara Jean's heart but Movie Josh was just…. There. I kinda wish Movie Josh had more character development. What did you think of Lara Jean’s bedroom? ABBY: Lara Jean’s bedroom exhuberated her personality, from the colorful poster squares to the bookshelf to the right of her bed. I feel like it’s representative of what goes on in her head, the bright fantasies of her wanting to pursue a relationship, and the romanticism of it all. KENZIE: At first, I was not a fan of her room. I had high expectations because I was so in love with her bedroom on the cover of the books and I expected the atmosphere to be... lighter and sort of whimsical. I would have liked to see more vintage-like items that screamed Lara Jean, you know? But when I think about it, I liked that the room was really iconic and original. I liked that it matched the aesthetic of the movie and all the little details that were put into it (peep the Harry Styles magazine!). And even though the mess drove my ocd crazy, I loved how her family knew Lara Jean was going through something when she started cleaning her room. Usually, it’s the opposite for me. LILA: I have to admit I was a bit disappointed in Lara Jean’s movie bedroom just because the book cover bedroom is like freaking so aesthetically perfect, but then I saw the Harry Styles cover and that made up for everything and now I am in love. Hi, I love Harry Styles and Lara Jean so let’s just put that together and that is perfect. ANNA: Honestly? It was a work of art! I loved her colorful aesthetic (i had major heart eyes on that dark teal wall w/ the flowers) and I thought having her room always messy was a silly quirk. Although, I don’t know how she sat in that small, wooden chair. It looked super uncomfortable haha. Did you bake cookies before watching the movie? ABBY: I checked out the book several days pre-release and the back had cookie recipes! I had a prior commitment and had to back out but I’m still going to make cranberry and cowboy cookies. LILA: Mackenzie baked like a crazy woman all dressed up, she even did her makeup, and she only does that for special occasions, so this was a really really REALLY special occasion. Then I joined in with the baking party all dressed up. Honestly, baking before the movie just made everything better. It definitely set the mood perfectly. ANNA: No.... I actually drank a protein yogurt drink thingy because I was in a rush to watch it. I wish I had a Korean yogurt drink instead! Do you think there should be a movie sequel that follows P.S I Still Love You? ABBY: There’s no such thing as too much Lara Jean and Peter Kavinsky; I’d love for a sequel! However, I feel like they touched a lot of conflict instilled in P.S. I Still Love You to where there isn’t a lot of plot remaining.. My main concern is expanding on the source material-- if they can find a way to flesh out more of the universe and its characters with a cohesive storyline, then I’m onboard. KENZIE: I know there is already talk about a sequel plus they ended the movie in a way that set it up for a potential one, so I’M TOTALLY DOWN FOR THAT. I want all the Lara Jean and Peter Kavinsky I can get. However, the second book was my least favorite so I would be a teensy bit scared for it to be turned into a movie. I don’t think I’m ready for there to be #TeamJohn, if you know what I mean. LILA: I would absolutely love to see a sequel for P.S I Still Love You! 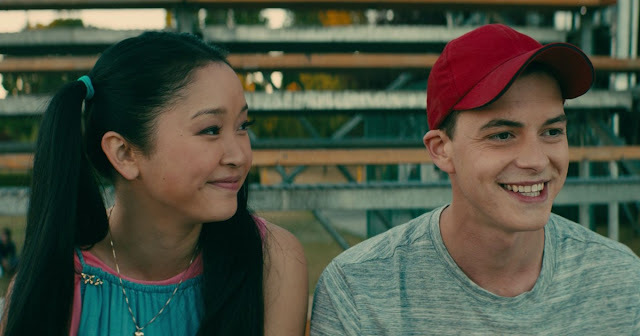 The ending of To All Of The Boys I’ve Loved Before gave you a satisfying ending but yet opening up the door a bit for a possibility of a sequel. If the movie people do it right without seeming like they are dragging the story out, I think a sequel would be so exciting to see! ANNA: YES PLEASE. I need more Lara Jean in my life. Did you like the Lara Jean movie?!? What was your favorite scene? Let me know in the comments! I love the format of your post and the fonts and the colors asdfghjkl!! Lara Jean would approve. 👌✨ If a sequel does happen, we need to make our little Peter Kavinsky club #offical. "Whoa whoa whOA"
p.s. IF CARRY ON BECOMES A MOVIE, WE NEED TO HAVE A SNOWBAZ COLLAB. IT'S NON-NEGOTIABLE. All the love!!! 💞💗💘💕❣❤💖 I'm totally on board with that. Gosh, thank u soo much! "whoa whoa whoa" will be our club slogan for sure. Sometimes I feel like the only person in the world who hasn't read this series...I tried once and I just don't think it is for me. But I really want to watch the movie!Reading this makes me want to even more! Lara Jean's room is GORGEOUS!